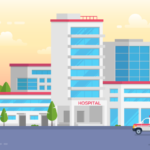 Healthcare mergers and acquisitions have been the cause of considerable debate across the medical industry, calling into question the tools and scale necessary to thrive in current care models as well as the notion of anti-trust laws in healthcare. But as industry professionals consider the business case for mergers and acquisitions, it will be essential for them to also understand how these events impact the patient experience. Healthcare mergers and acquisitions are on the rise, according to recent data from Kaufman Hall. In 2017, there were 13 percent more healthcare mergers than in the year previous, Kaufman Hall reported. A separate analysis from PricewaterhouseCoopers revealed that there were 255 healthcare merger and acquisition deals in Q2 of 2018. And with the increase in healthcare mergers has come an increase in debate on the matter. Industry professionals are at odds about the anti-competitive nature of healthcare mergers and acquisitions. In theory, when there are fewer independent providers, there are fewer choices for healthcare consumers. A healthcare monopoly could lead to cost issues and care access issues. But proponents of healthcare mergers and acquisitions say these structure changes are essential to survive in the shifting industry landscape. Mergers and acquisitions make it so patients can access quality care all across the country and keep a cap on spending. Below, PatientEngagementHIT.com discusses healthcare mergers and acquisitions and their impact on the patient experience, specifically on the cost of care and care quality.